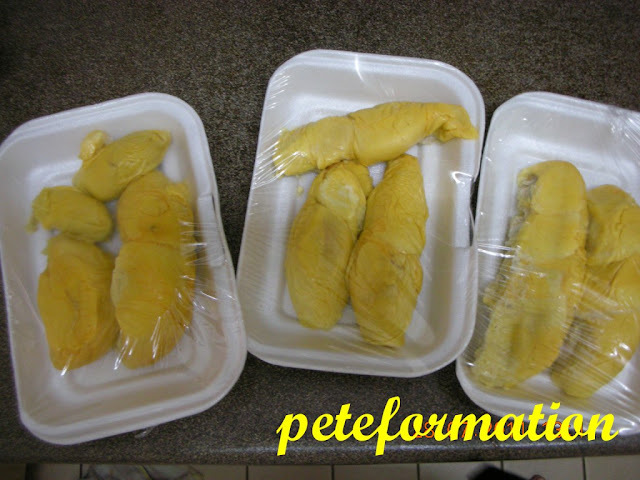 PeteFormation Foodie Adventure: Durian Klon Bersih (Clone)? Woo weee, sore throat is gone.......time to sapu (wallop) durian! The durians below might look a little wrinkled but they are bitter, sweet, dry and creamy. Excuse me ya, time to 'makan' (eat) my durian! Then sapu everything until 'Bersih' (clean) ! ha ha ha! Wah semua ada bitter, sweet, dry and creamy..
Tak cukup bersih... Must lick the seeds really clean. LOL!!! 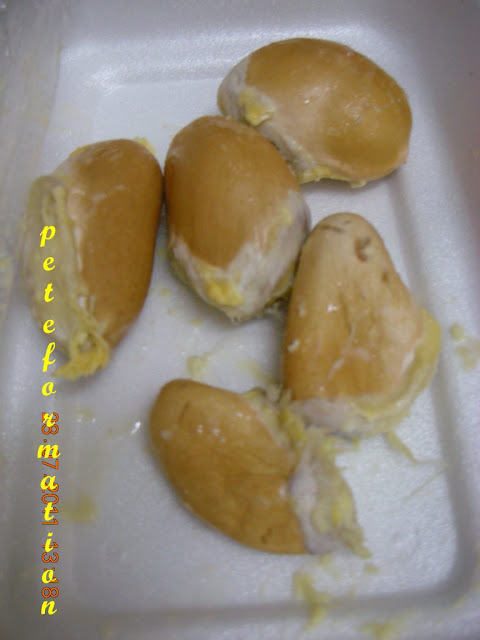 I had durians last weekend and the big feast left me 2 big ulcers in my mouth. For the subsequent 5 days, I hardly had comfortable meals. But now I'm alright and don't mind for another durian feast, muahahaha! Everything for the king of fruits! Durian is always unresistable. Will durian make you fat a bit, Pete? This years, there are abundance of durians. not with sambal this time? hahaha..glad I am eting durian too else I would positively be drooling here. I'm not a fan of durian but wouldn't mind to hv some to make dessert, yum! 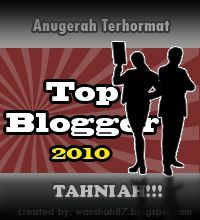 Thank you for your effort in maintaining this great blog. It is very informative. If you want to get some cloned durians, you can consider getting the durians directly from a durian orchard owner. He travels to PJ areas daily. If you are staying or working in PJ areas, he can delivers the durians to you.